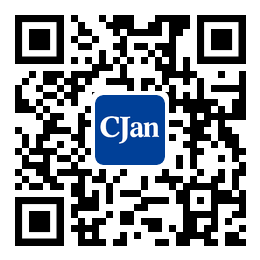 ﻿ The Isotactic Pressing Technologies of PTFE liner - CJan Fluid Technology Co., Ltd. The isotactic pressing technologies of PTFE liner includes pre-forming technology and sintering molding technology. By using the elastic mold, lining part of the work-piece type cavity of the inner and outer wall in differential pressure conditions, powder elastic mold will make full use of the elastic cavity that makes PTFE which has been installed in the compression close to the wall lining. And the thickness of PTFE liner is consistent, completely solving the problem of crack problems caused by molding technology and the thickness of the liner complex the shape of the work-piece cavity inconsistency caused by local stress concentration. At the same time, the failure of the solidification reaction (exothermic reaction) in the sintering process leads to the local stress concentration resulting in cracks. Take quartz sand expansion materials as free compensation to solve expansion in the metal shell and PTFE liner sintering process line gap coefficient thermal expansion and contraction caused by inconsistent PTFE liner and the metal shell layer from quartz sand. PTFE liner isostatic compaction technology can be applied to the complex geometry structure of the valve (ball valve, cartridge valve ) cavity forming, and improve the use of similar products to broaden the range of temperature, corrosion resistance, abrasion resistance and sealing reliability. It is widely used in petroleum, chemical, pesticides, dyes, pharmaceutical, military and other serious corrosion occasions; and also used in the Pipe system, medium, or material transport.